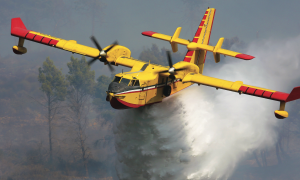 Viking Air has launched an Avionics Upgrade Program (AUP) for the Canadair CL-215T and CL-415 fleet of aerial firefighting aircraft. 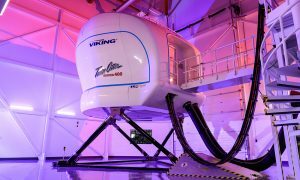 The program will incorporate modernized technologies in communications, navigation, surveillance, and air-traffic management functionality in an integrated platform featuring the Collins Aerospace Pro Line Fusion avionics suite. To face challenges with supportability and end-of-life components inherent with aging technology, the AUP will utilize modern and reliable COTS systems that will easily interface with specialized mission equipment. The system is designed as a complete integrated solution for a harmonized cockpit that will not only meet current regulatory requirements, it will also address future operational and technical requirements over a 25+ year horizon. 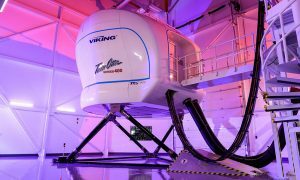 The standardized cockpit will feature an ergonomic flight deck with three large LCD displays and low instrument footprint for enhanced Flight Data Visualization that will help reduce pilot workload and provide focused information in a streamlined, simplified cockpit design. A key component of the AUP is the introduction of the Collins Pro Line Fusion digital avionics suite, a FAR/Part 25 certified scalable software-based system. The avionics suite’s core configuration features Flight Director, Flight Management System (FMS) coupled with SBAS-GPS and LPV capability, Terrain Awareness Warning System (TAWS), ADS-B Out, Synthetic Vision, crew alerting system display indicators, and a multi-functional keyboard panel with dual cursor controls providing an alternative to touch screen commands. 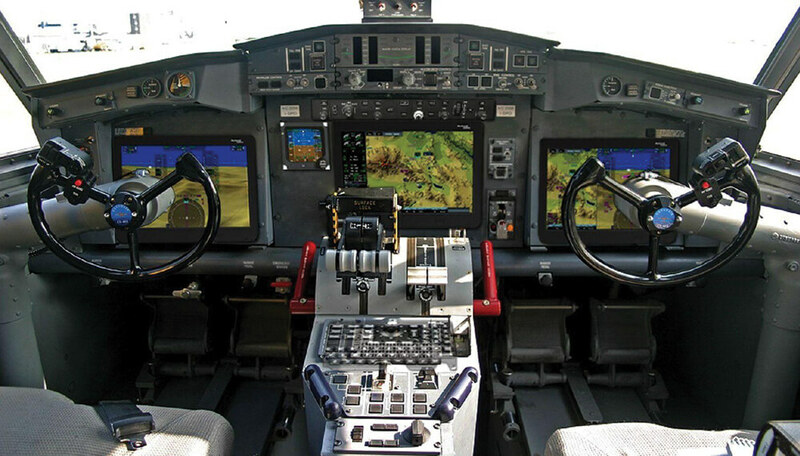 A SATCOM system, Latitude Technologies Ionode System, Weather Radar, and Auto-Pilot are few of the available options to further enhance and customize the avionics system based on operator requirements. The AUP will initially be offered as an upgrade to operators of CL-215T or CL-415 who can select either a complete modification including the supply and installation of the avionics suite, or as a parts kit for installation by an approved Maintenance Repair Organization.